What is Your Littleton Home Worth? These townhomes are ideally near several parks in the locality such as Lilly Gulch Park, Woodmar Square Park, Valley View Park and Christensen Meadows Park. They are located to the west of Coal Mine Avenue in Littleton. Stony Creek Elementary, Deer Creek Middle, and Chatfield High School are the schools kids attend from this area. These townhomes have 30 homes which were built between 2002-2005 in 1300-1400 square feet. Most of the townhomes have a walk out basement with 2 car attached garages with 2300-2700 finished square feet. SCL Health Community Hospital which provides the finest emergency care is located close by to this location. Also the Columbine Library - Jefferson County Public Library is just 2 miles away from these townhomes. And Lilley Gulch Recreation Center which includes an indoor pool, gymnasium, racquetball courts, and programming space is just 1.4 miles away from this location. See what your Townhome is worth With an Instant Home Valuation Online. Want advice on selling your Townhome? We provide a free staging consultation, pre-listing prep plan, and a Dover real estate market analysis. Call us at 303-325-5690 to learn more. New to the Area? 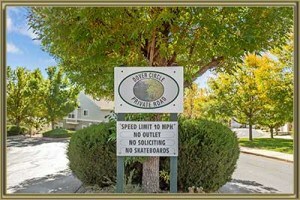 Call our Dover real estate agent at 303-325-5690 to schedule your tour of Townhomes in Littleton CO.